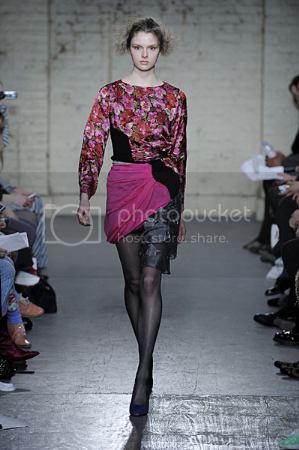 “Electric casual wear with a purposefully thrown together appeal. This trend is creative, innovative and inventive. 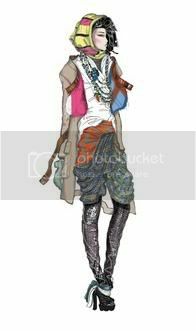 In an explosion of self expression, clothes are thrown together, layered and styled with attitude. The look of the trend is clashing colours, haphazard garments upcycled or DIY’d and textiles are patch worked together in edgy and original ways. Denim will be a key textile for this trend, but will be revamped by deconstructing it, DIY’ing and mixing it with other textiles like lace. 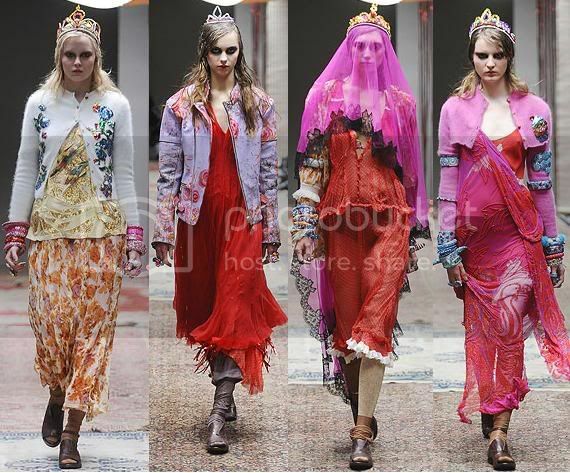 You can see these looks on the runways of Meadham Kirchoff, Vivienne Westwood Red Label and Michael Van Der Ham. I do actually quite like this trend I love how the compisition looks really good but it does not look to thought about. i am CRAZY over it!!! Ummm... Crazy, quirky, fun... love the outfits. Such a wonderful collection. Visit www.theclothing.net to buy Tory Burch, Home, Bodies and Playsuits, Backpack, Beauty, La Femme, Manoush, Denim, Women Clothing, Sleeveless, Bracelets, Niteline, Coloriffics, Long-sleeved Tees, High Heel Boots, Celebrity, Dina Bar-el on sale designed by Tolani Collection, Herve Leger, Faith Connexion, IRO, Young Fabulous & Broke, Brochu Walker, Naked Label - always on sale!